Abu Dhabi is all set to get its first Hindu temple with the foundation stone laying ceremony of the place of worship going to be held in April, according to a media report. The plan to build the temple in the UAE's capital was approved by the Abu Dhabi government during Prime Minister Narendra Modi's first visit to the country in 2015. 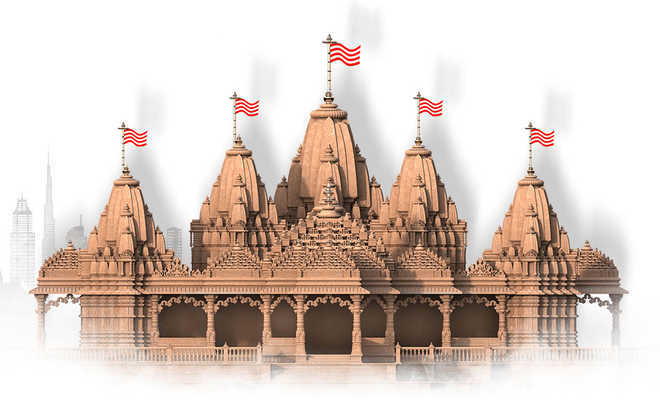 BAPS Swaminarayan Sanstha, a worldwide Hindu religious and civic organisation, is building the temple, the Gulf News reported. The foundation stone laying ceremony of the temple on April 20 will be presided over by Mahant Swami Maharaj, the present guru and president of the BAPS Swaminarayan Sanstha, it said. The spiritual leader will be in UAE from April 18 to 29. Dubbed as an icon of tolerance and religious harmony in the UAE, the temple is being built on a 13.5-acre land gifted by Abu Dhabi's crown prince Shaikh Mohammad Bin Zayed Al Nahyan. An equal area of land has also been gifted by the UAE government for building parking facilities in the temple premises. The temple with seven towers representing the seven emirates in the UAE will come up at Abu Mureikhah in Al Rahba area on the Abu Dhabi-Sweihan-Al Ain Road, close to the Abu Dhabi-Dubai highway. The stones for the temple will be carved by temple artisans in India and assembled in the UAE. While the pink stone is being sourced from Rajasthan, the marble is being brought from the European nation Macedonia.